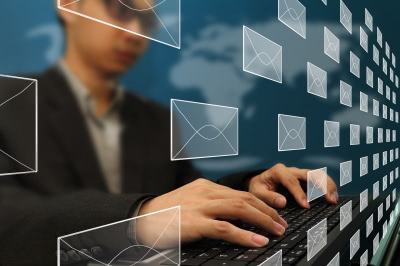 This probably isn’t the first article you’ve read about taming the email beast. You know all about categorizing, filtering, batching your time, etc., etc. But no matter how savvy your email system is, managing your inbox is still attacking the symptom, not the problem. What if you just got less email to start with? WAY less email? Think about it this way. If you were trying to lose weight, which would be more successful: executing a pantry-management strategy to eat less cookies, or not buying the cookies in the first place? I believe that emails sent to your company should be answered by a live human – just not you. Stellar customer service has been a huge factor in the success in my business. But you know what would make that service NOT so stellar? Me trying to handle it all myself! Yet I don’t believe in replacing human contact with autoresponders. I have a full-time person on staff dedicated to answering emails. So every email still gets answered, just not by me. Think you can’t afford a customer service person? Get creative. Check out one of the many virtual assistant services for under $300 / month, or hire a college kid to work for you for 10 hours a week. 2. Stop ALL list subscriptions. When I say get yourself of all marketing or announcement lists, I mean it. Every. Single. List. Unsubscribe. 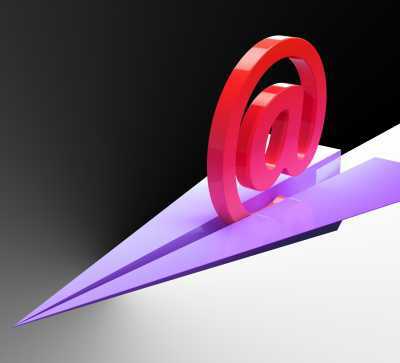 What do you do if there’s information that you want or need in email lists? Set up a completely distinct Gmail account that’s only for list subscriptions. You can do whatever fancy filtering you want in that account. You can subscribe to everything, and have only a few that make it to your inbox. You can filter your favorite subscriptions to go to a folder that you check every so often. Whatever. It only matters that you keep list subscriptions OUT of your primary work email. Sending your “list email” to your primary work inbox is cheating – this will only work if you maintain two totally distinct inboxes with two different logins. By the way, this applies to sales receipts and e-commerce as well. That’s just junk that shouldn’t be cluttering up your primary inbox. You can use your “list” email address for all your online purchases and receipts. Gary Vaynerchuck (who hasn’t personally responded to all of his emails in YEARS, by the way) started the online trend of being approachable and personable by sharing his email address everywhere. It’s a nice idea, but Gary ultimately found that it’s not sustainable. If you’ve been an email over-sharer in the past and you’re dealing with the consequences now, you probably want to re-route your old email to your customer service team and start fresh with a new address. Just because an email was sent to you doesn’t mean that you have to deal with it. Even if you don’t share your email publicly, people’s personal email addresses are pretty easy to guess. Whenever you receive a request that really should have gone to your customer service team but went to you instead, forward it immediately. Don’t read it. Don’t respond. Become addicted the forward button, and soon you’ll train people to email your customer service team (where they get a response) instead of emailing you directly. 5. Take yourself out of the loop. I ask my team not to include me on emails whenever possible. I hate an inbox cluttered with a bunch of “FYI” communications that don’t need my action or input. Also, I have someone else do any kind of “process” communication. Let’s say I’m being interviewed on a podcast. They might want to email with me a bit about what our topic will be. After the part of the conversation that involves me is done, I’m out. I pass off the email chain when it comes to scheduling, sending over my bio, etc. Just because you started a conversation doesn’t mean that you need to be the one to finish it. After you complete these five steps, you’ll notice there’s really only one type of email that fills your inbox: critical communications from your team. People often advise entrepreneurs and busy leaders not to check our email in the morning and let our day be ruled by other people’s priorities, but when you dramatically scale back your inbox, what is in it finally reflects your real priorities – and so that advice quickly becomes moot. Today, my inbox is filled with items that need my input or approval, or automated updates from our task management service giving me the big-picture overview of what’s happening with my team. That means my inbox isn’t a distraction, but a valuable tool for running my business. Laura Roeder is a social media marketing expert who teaches small businesses how to become known as #1 in their field and claim their brand online. She is the creator of Creating Fame and Your Backstage Pass to Twitter.